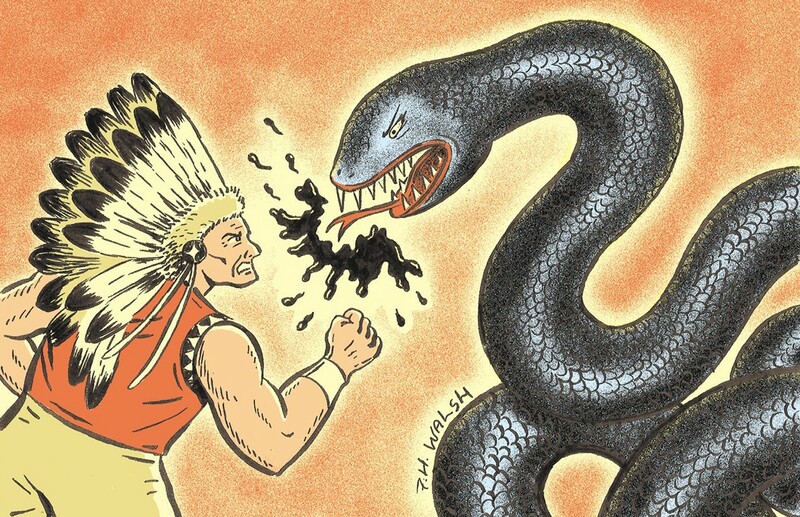 There is a Lakota prophecy that says there will be a great black snake that will run through the land and bring destruction to the people and to the earth. And as I write this, there are thousands of Native people from all across the United States gathering peacefully to protect the earth and water from the Dakota Access Pipeline, also known as the black snake. This pipeline, once constructed, is supposed to run a half-million gallons of crude oil a day from the North Dakota oil fields to Illinois, and cross the Standing Rock Sioux Tribe's traditional lands, just a mile away from their reservation, and sacred water source of the Missouri River. The tribe has asked a judge to halt the 1,200-mile pipeline from being constructed by Energy Transfer Partners, claiming that the Army Corps of Engineers failed to fully and validly consult the tribe in its approval of the pipeline. There is a temporary stay on construction until a judge can make a decision scheduled for this Friday. The company recently destroyed 82 sacred items and 28 burial sites. Protectors, camped a mile away, ran to protect those sites. Upon arrival, the security company that Energy Transfer Partners hired released dogs on them. Six people were bitten, including a child and a pregnant woman, and at least 30 people were pepper-sprayed. There has been no national news coverage of this incident. The tribal people who are gathering at Sacred Stone Camp, near the construction site, are from tribes from all corners of America, including Mexico. Protectors from Spokane are there now. They are there not just to stand in solidarity with the Standing Rock Sioux, but also to stand in solidarity with every American, and their children's children. There is just something powerful about the indigenous people of America, something that no one can deny. We are alive and we have a voice. Our cultures survived and thrived despite the mass genocidal policies of our government, and despite the false narrative fed to the general population. Here's the thing about false narratives: They are generally meant to benefit one group of people. But Native people are rising up and challenging those false narratives. We are not all drunks: In fact, a recent study found that Native people are the most likely group of people to abstain from alcohol. Not all tribes own casinos, and among those that do, the profits benefit mostly white investors. 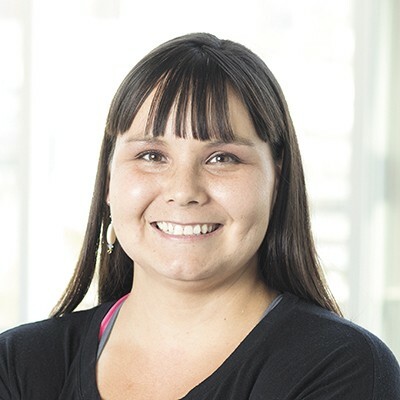 We are educated: In the past 30 years, college enrollment has doubled in the Alaskan Native/Native American population. By modern standards we are starting to succeed, despite the horrific American Holocaust that, conservatively, killed more than 40 million indigenous souls. Our power comes from our ancestors standing behind us, holding us up to have the strength to face anything. As tribal people, we know that possession of the earth is not an actual thing, so we are using our power to protect the earth and water from the abuse and destruction of greedy corporations. Our stewardship of the earth has been passed down to us from thousands of generations that have done the same.